Where do you go to shop for wholesome, nutrient-packed snacks, juices, power foods and dietary supplements for your family? 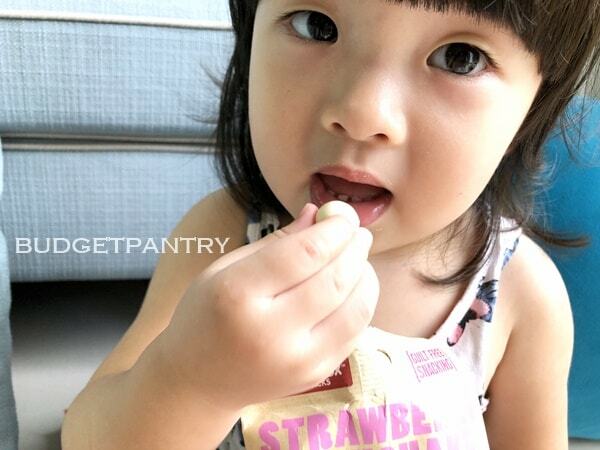 I shop online from Wholesome Harvest, on Redmart! Wholesome Harvest is a local company that has been wholesaling and distributing natural and organic beverages, confectioneries, food, snacks and health supplements for the last 15 years. They began small, serving the local independent organic stores initially till today where their products can be found at various F&B outlets, hospitals, hotels, supermarkets and even conveniently online on Redmart – that’s where I get mine! What kind of products do they carry? TOO MANY TO LIST! 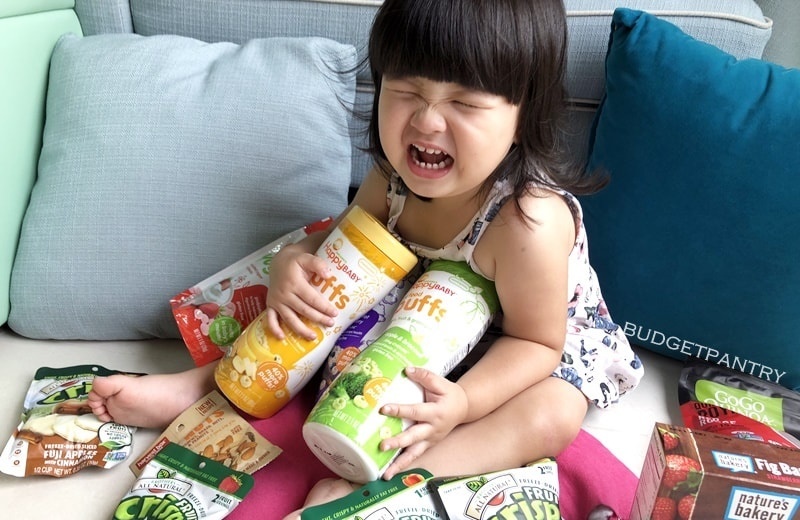 Organic baby puffs, yogurt bites, fruit crisps, fig bars for mid-day hunger pangs, a mind-boggling range of flavoured teas, wholesome juices, chia seeds, healthy quinoa… even lactation biscuits and nursing tea for breastfeeding moms! Here’s a list of our favourite products and a kid-friendly quinoa meatball recipe as you scroll down… cbb approves! Which kid doesn’t like puffs? 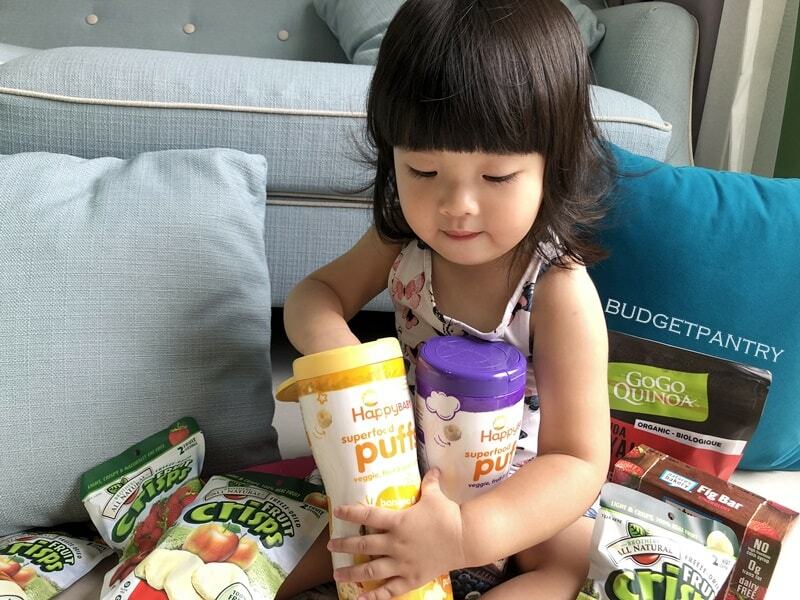 Cbb started her pincer grasp with Happy Baby puffs when she was about eight months old and she loves these anytime, anywhere! 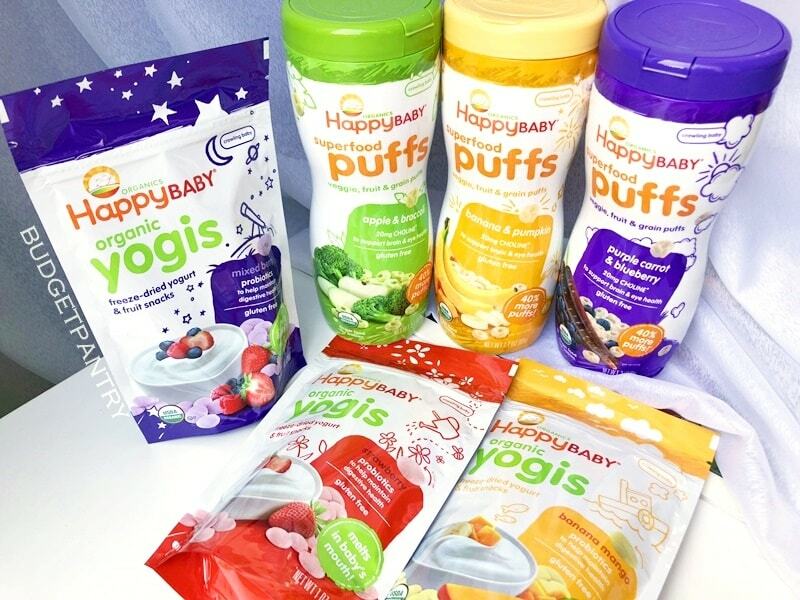 Happy Baby Organic Gluten Free puffs are enriched with vitamins and minerals, and lightly sweetened with real fruit juice concentrate. Cbb’s current favourite flavour is purple carrot and blueberry…I have to pry the bottle away from her chubby little hands! 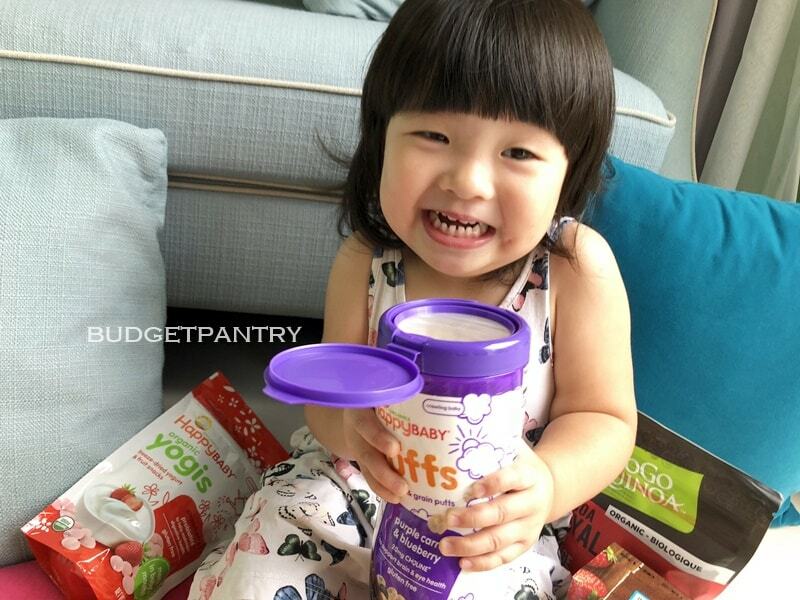 She also loves the organic Yogurt Bites that are enriched with probiotics for digestive health, and which are available in a range of flavours too! 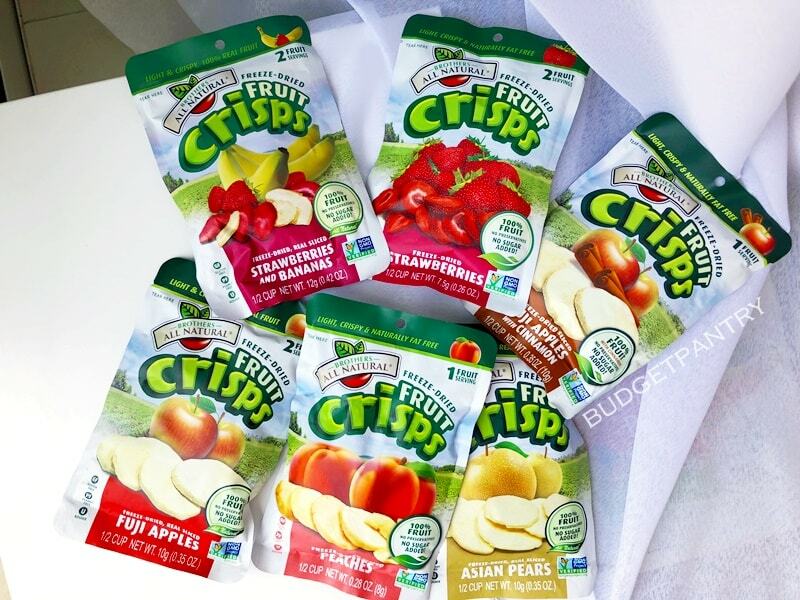 Fresh is best, but when I’m crunched for time or haven’t managed to stock my fridge, I do reach out for these nifty fruit pouches for cbb. Initially I had thought that these are dried fruits, like the types of sickly-sweet apricots and raisins I often see in supermarkets. 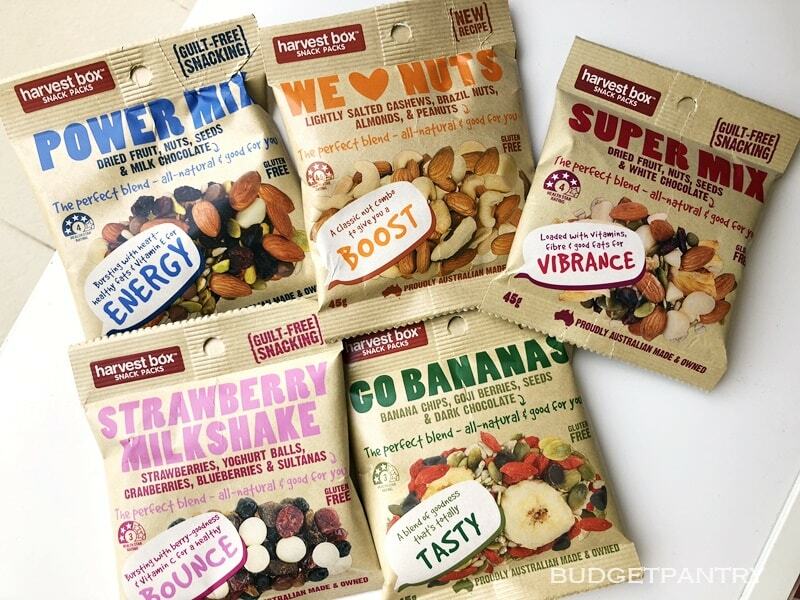 But these pouches of FREEZE-dried fruit are different! There’s no sugar coating, so it’s delightfully light and crisp, thanks to the freeze-fried process that gently removes water from the fresh fruit. I like this a lot myself! 100% fruit. No preservatives or sugar added. 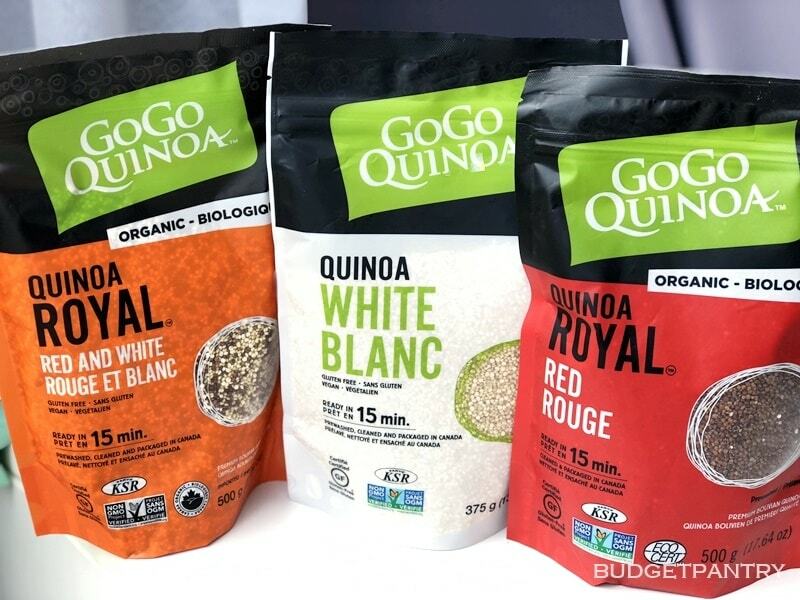 Quinoa is a power food also known as the mother of all grains. A complete protein and fantastic wheat-free alternative, quinoa is making its way into nutritious baby and kids meals all over the world. How do you cook quinoa? I cook it in a few ways. The easiest is to mix it with rice grains and cook them together in the rice cooker. Another way is to simply mix one part quinoa and two parts water and cook it on the stove top, covered for about ten minutes till done. I love mixing quinoa into meatballs for added crunch with I airfry them for cbb. 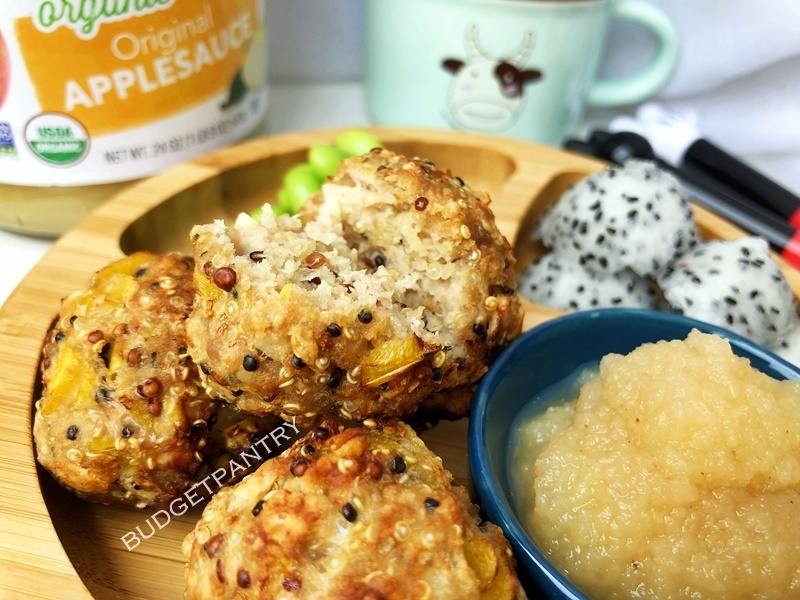 Read my kid-friendly quinoa meatball recipe with apple sauce below! 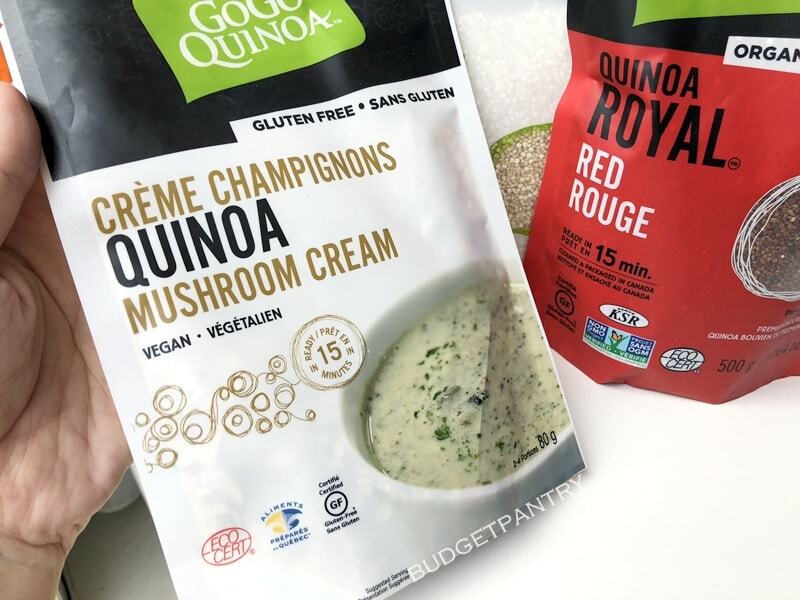 You could also add quinoa to soup, or try out this yummy mushroom cream soup with quinoa, 100% vegan and gluten free. Who loves using apple sauce in their cooking? Me! Applesauce is an incredibly versatile ingredient. Cbb loves eating it plain or dipped with meatballs (this is the applesauce I’m using in my recipe below! ), and the husband loves having his with pork chops. I also add the cinnamon applesauce to my homemade apple tarts whenever I do bake them. The smell from the oven is heavenly! 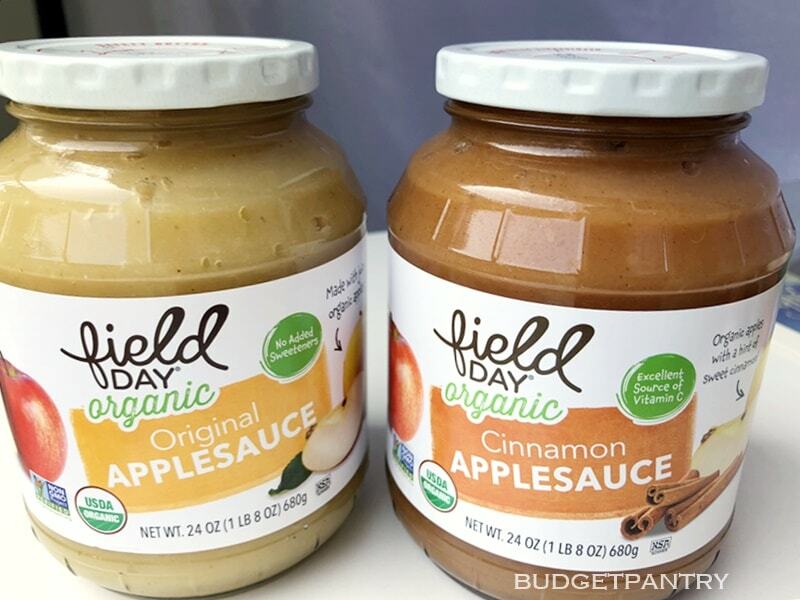 Field Day Organic Applesauce is a simple and delicious treat, made with fresh organic apples and nothing artificial. Great as baby’s first food too! Herbs have been used to support health for thousands of years. 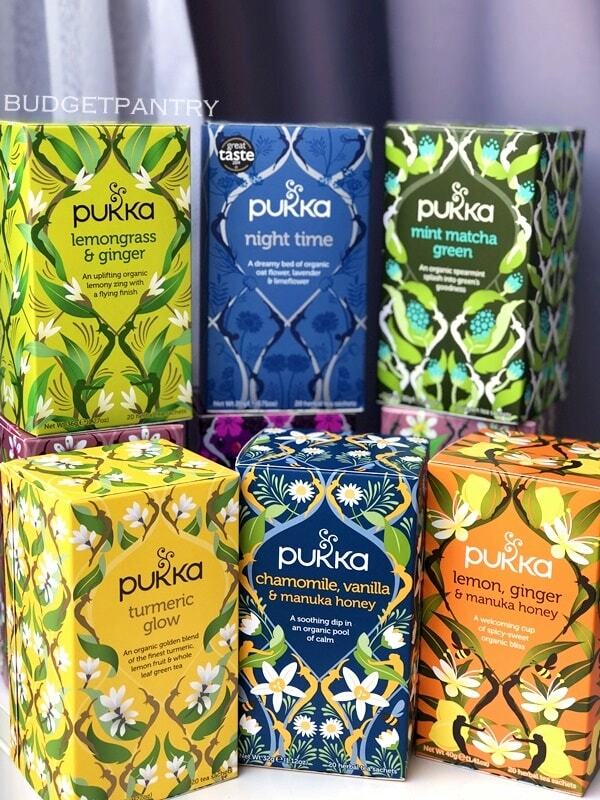 Pukka Organic blends are suitable for drinking throughout the day to help maintain a healthy glow. I take them to the office as a mid-day boost too! My favourite is the lemon, ginger and manuka honey, a welcoming cup of spicy-sweet organic bliss. 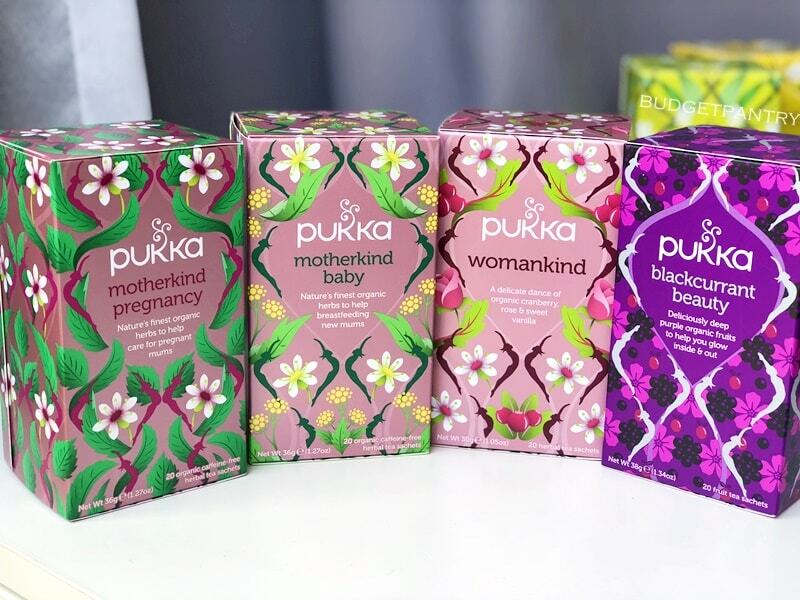 Pukka also has a range specifically for women and mothers to take care of your well-being. Raspberry teas for the pregnant mom, lactating tea for the nursing mother, and beauty teas to rejuvenate us. Love this thoughtful selection. If you’re currently pregnant or breastfeeding, you will welcome the range of products on Wholesome Harvest! 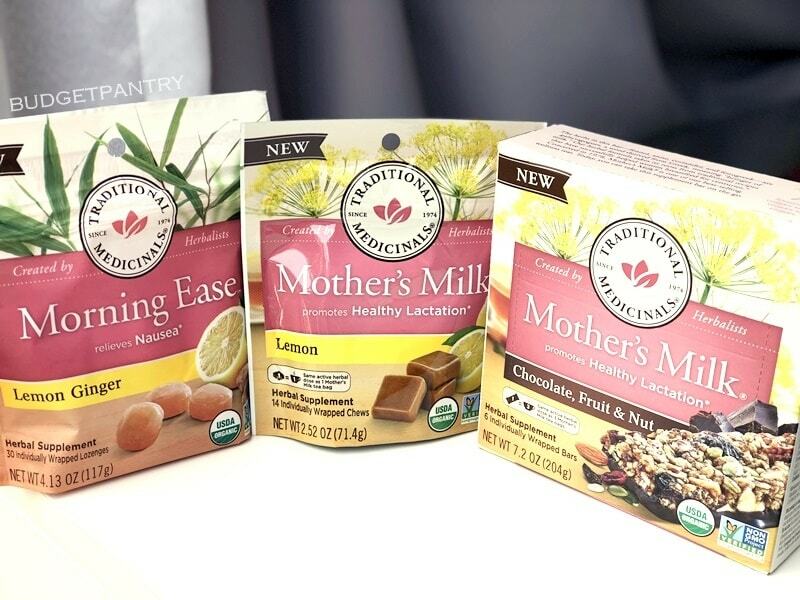 The Mother’s Milk products promote healthy lactation and the Morning Ease candy help relieve nausea during pregnancy or whenever you need it. 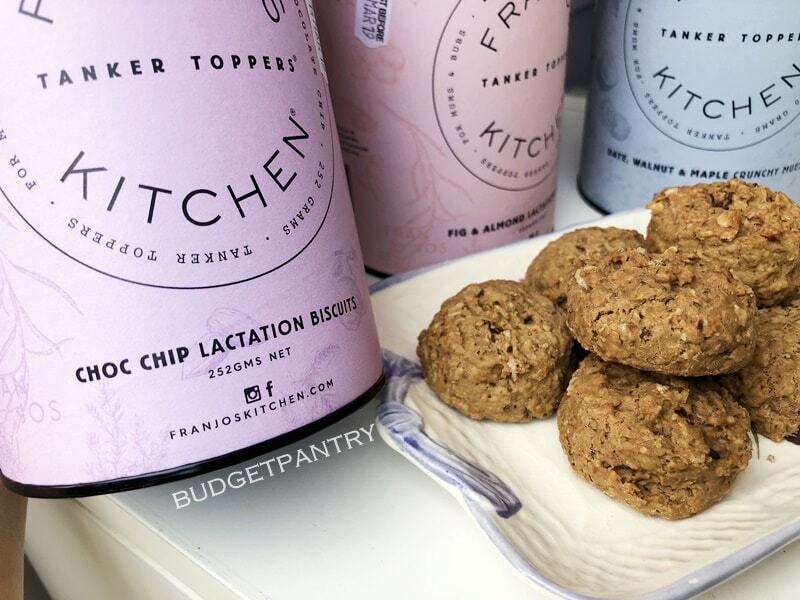 And if you’re looking for yummy lactation biscuits without having to bake your own, Franjos Kitchen’s selections is the answer! 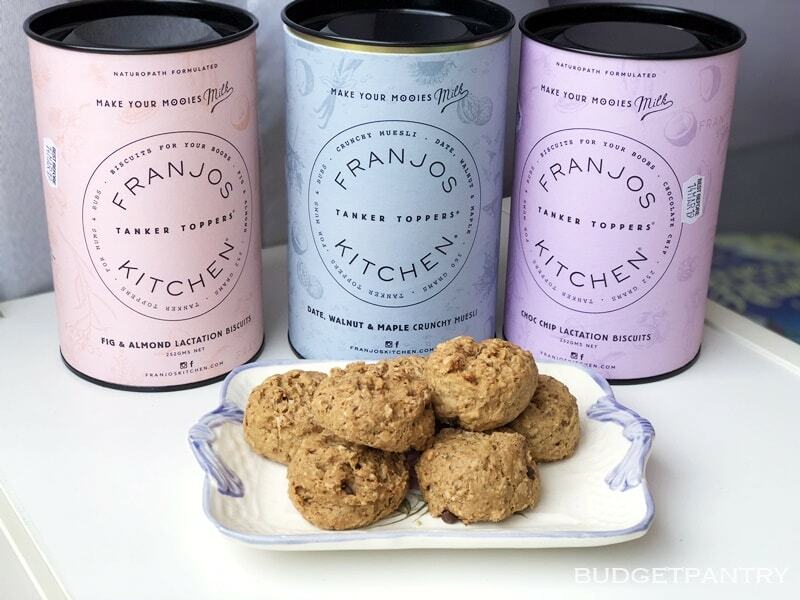 Biscuit flavours include Fig & Almond and Chocolate Chips, and the Date, Walnut & Maple Crunchy Muesli can be sprinkled over yogurt or eaten with milk. Contains brewer’s yeast to help you produce milk for your little one. I’ll admit it – I love snacking. 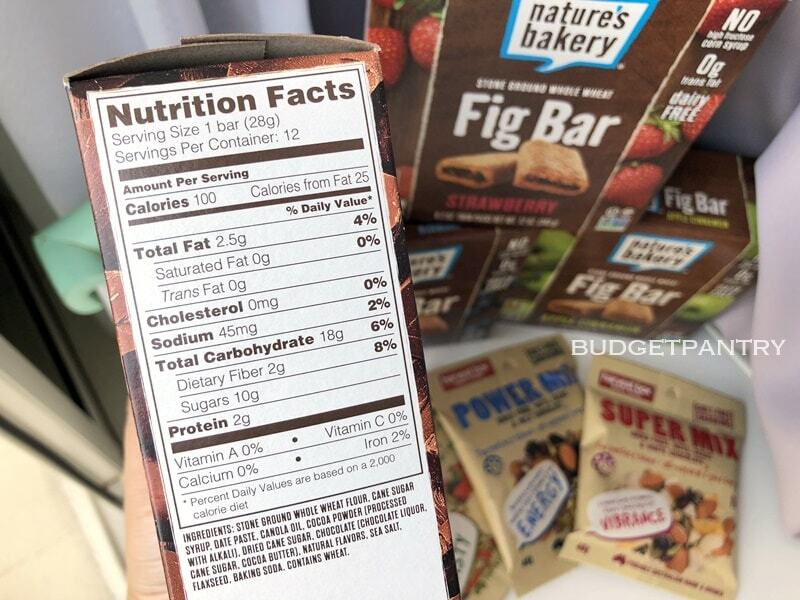 And it’s sometimes hard to watch calorie intake when you’re snacking, even when it’s nuts and berries, or other delicious goodies that are good for you. 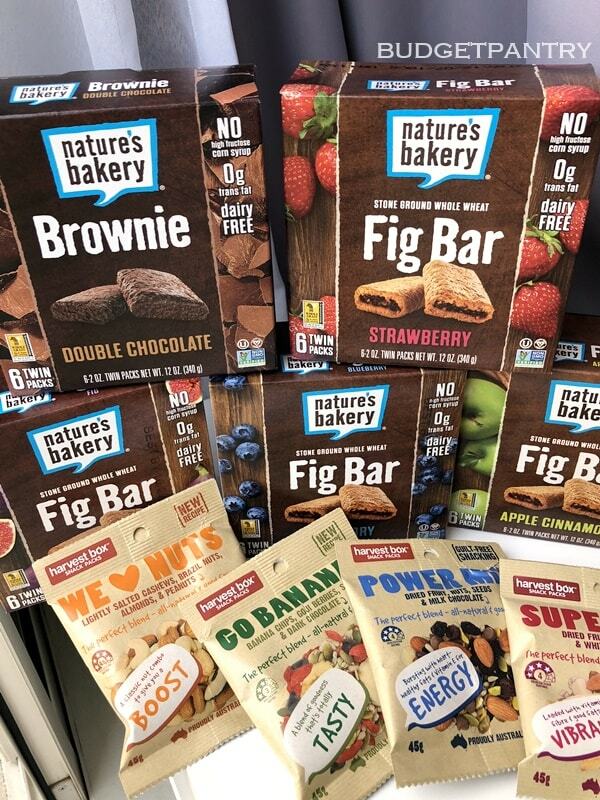 Conveniently packaged for on-the-go snacking, Nature’s Bakery’s brownie and fig bars contain no high fructose corn syrup, no artificial flavors or colours, are soy free, dairy free, cholesterol free, and contains 0 trans fats at only 100 calories a serving. Another product I swear by is the Harvest Box Snack Packs. One pack can keep me satiated for the entire afternoon! With the many flavours available, there’s bound to be one delicious mix that makes you reach for them again and again. The husband loves these too and I can absolutely understand why. My favourite is ‘Go Bananas’ – goji berries, banana chips, seeds and dark chocolate. The different textures and flavours I experience makes this a fun and yummy treat! Go on over to the Wholesome Harvest online store on Redmart to make your purchase today! 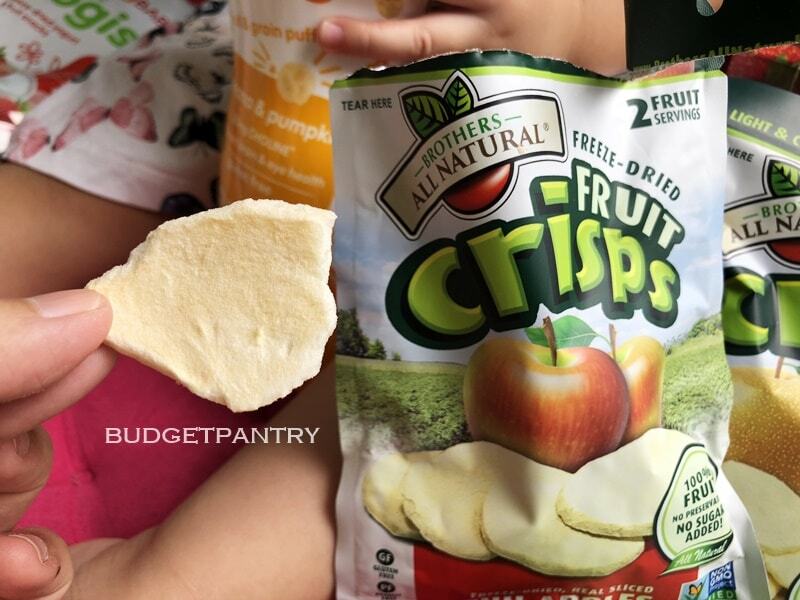 There are over 350 selections of nutritious snacks and products suitable for the whole family – baby, kids and adults alike! And now for a kid-friendly quinoa meatball recipe that will help you incorporate power grain quinoa into your kid’s diet easily. Ready? Let’s go! Combine quinoa and 2 tablespoons water in a pot. Bring to boil and lower flame. Cook, covered for 10 minutes until quinoa is done. Set aside. Place water chestnuts, carrot, capsicum and spring onion in a food processor or blender (I used a manual blender) and chop till fine. Place minced meat in a large mixing bowl. Add in the chopped vegetables, quinoa and cream crackers. Mix well and shape into balls. The quinoa will help bind all the ingredients together. Airfry at 180C for 10 minutes. Alternatively, shallow fry with a little oil till golden brown. 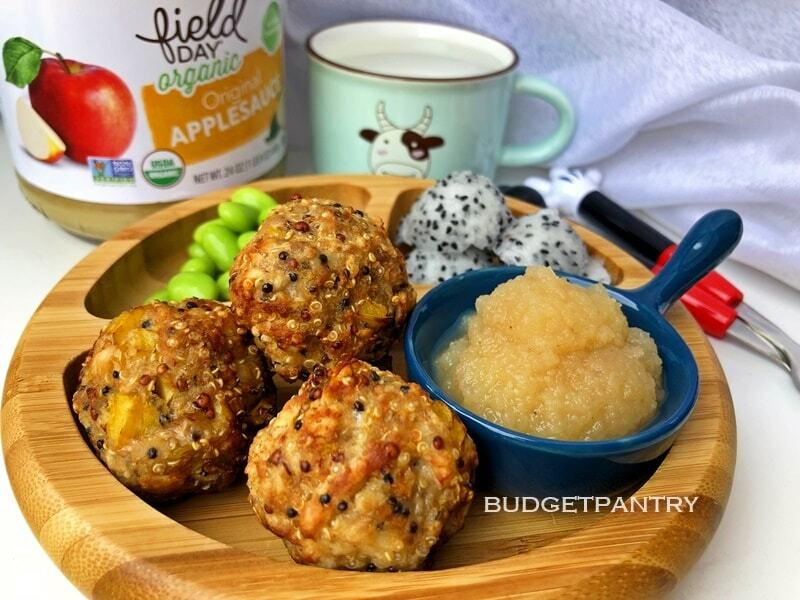 Serve with Field Day organic applesauce as a dip. Note: I used Gogo Quinoa Tri-Color Quinoa and Field Day Organic Applesauce Original for this recipe.